Carus stands for the highest quality in the world of vocal music. 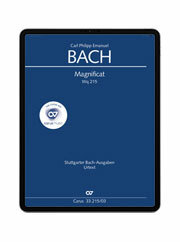 The basis of carus music, the choir app, is excellent, reliable music texts from the renowned Carus music editions – the preferred choice of choral directors and choral singers worldwide. 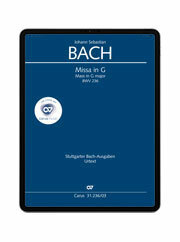 Carus Urtext editions offer music which has been edited according to scholarly standards in order to reflect the composer’s musical intentions as closely as possible. These are also used as the basis for CDs on the Carus label, recordings made by internationally-renowned performers. In carus music the best from publisher and CD label have been combined consistently to produce an innovative, new product optimised for mobile devices.